Having a sense of purpose is viewed as a benchmark of adaptive development. 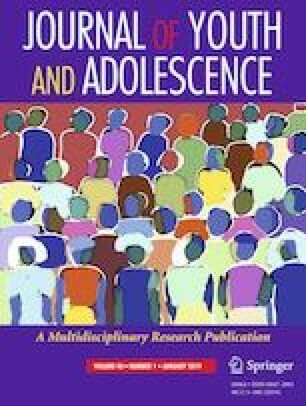 Though adolescence and emerging adulthood are viewed as central periods for the development of a purpose, work still is needed to understand the childhood factors that influence this developmental process. The current study provides an initial investigation into whether parent-child conflict during elementary school predicts later sense of purpose, assessed during emerging adulthood (mean age: 21.01 years; range: 19.97–23.53). The sample included 1074 students (50% female), and their parents, who both reported on their levels of parent-child conflict during grades 1–5. Higher levels of parent-child conflict were associated with lower levels of purpose in emerging adulthood. Moreover, the study examined whether these effects remained when predicting the variance unique to purpose while accounting for other indicators of well-being in emerging adulthood. Bi-factor models demonstrated that the child’s perception of mother-child conflict has a unique prospective effect on purpose in emerging adulthood, above and beyond its negative association with general well-being. The findings are discussed with respect to how positive parent-child relationships may prove important for starting youth on the path to purpose. P.H. developed the study idea and was the primary author for the manuscript. L.S. was the primary analyst for the manuscript, with assistance from J.J., and both contributed to the writing of that section. J.A. oversaw the original data collection and assisted with the development of the study idea and methods section. L.S., J.J., and J.A. all provided assistance with the writing of the manuscript, and critical feedback on multiple drafts. All authors read and approved of the manuscript. This research was supported by grant DA10767 from the National Institute on Drug Abuse. Most of the data for the current study are available for download after registration with the ICSPR by searching for the project title: Oregon Youth Substance Use Project (OYSUP). Requests for additional variables can be made to the senior author, JA. The study methods and data collection were approved by the Institutional Review Board at Oregon Research Institute (Protocol Number: 00000278). All participants provided informed consent or parental consent prior to participation, depending on their age at time of assessment. All data were collected in accordance with international standards for ethical research, with oversight from the Institutional Review Board at Oregon Research Institute. Hill, P.L., Sumner, R., & Burrow, A.L. (2014). Understanding the pathways to purpose: Examining personality and well-being correlates across adulthood. The Journal of Positive Psychology. https://doi.org/10.1080/17439760.2014.888584.